Why is mental health still so stigmatised at UK universities? As many of you know, mental health is a subject close to my heart. So when I was contacted by The Priory Group with some rather alarming information regarding the perception of mental illness at universities in the UK, to say it saddened me is an understatement. In the UK, I'm pretty sure that someone will know somebody who has been affected by mental health difficulties. I don't think it's presumptuous for me to say that. 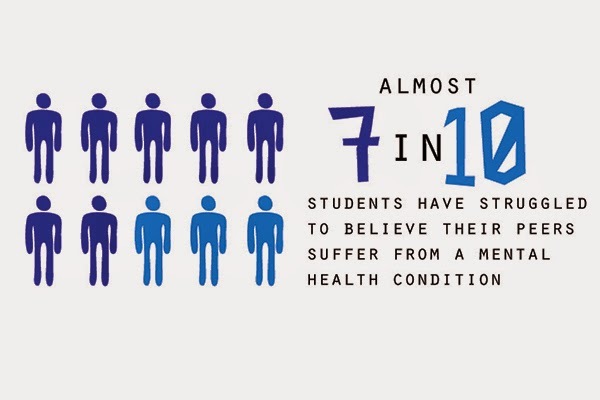 So why do nearly 7 out of 10 students - that's 70%, for anyone not hot on figures - find it hard to believe that their peers are struggling with a mental health condition? Of course, mental health can be far easier to conceal than a broken foot. A smile is easier to wear than a bandage; a crease between the eyes can be mistaken as a shadow, and not a literal bruise. But, and I can't believe I'm saying this because I thought it would be obvious: just because you can't see it, doesn't mean it's not there. One of the main problems seems to be that students are quick to use mental health terms as insults or throwaway comments. Mental health has been trivialised and colloquialised by teens, who are themselves a group at risk of developing a mental health issue. Irony, much? For instance, how many times have you heard comments like, "This essay is so depressing", or "She's so thin. She must be anorexic" or "I'm feeling so bi-polar and all over the place at the moment" (okay, maybe not so much the last one)? These comments are barely given a second thought, but they can be incredibly damaging to both people affected and those vulnerable to any/a combination of these conditions. In the age of selfies and social media paranoia, the ego is more fragile than it's ever been. Mental health isn't an adjective. It's not a way to describe how you feel, or how you look. 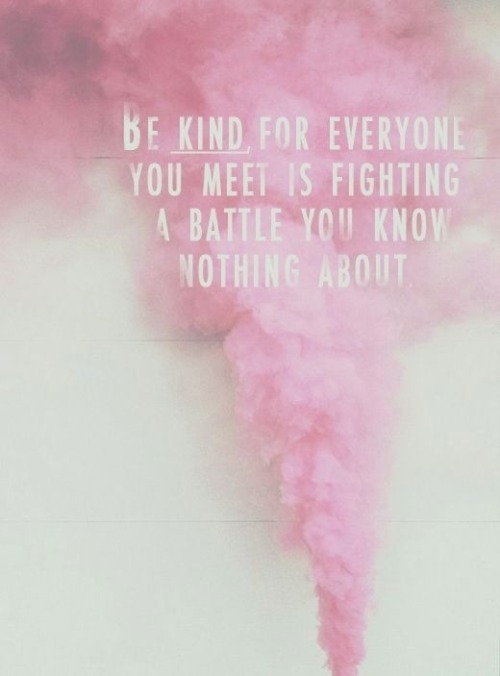 It's not a way to justify your behaviour, or to seek reassurance from your peers. And until it starts to be taken more seriously, how on earth is someone going to be okay with admitting to it? To - god forbid - be okay with it? 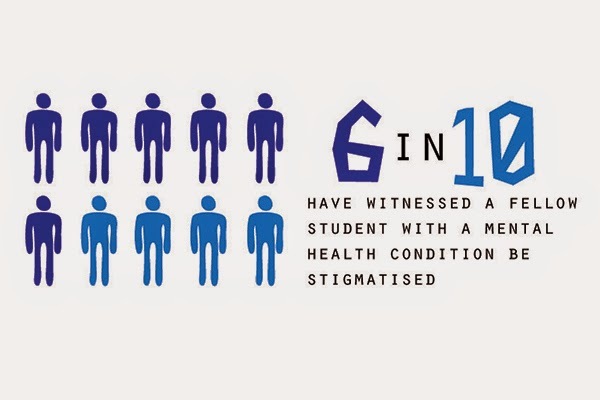 Until mental health stops being stigmatised, which six in ten students have actually witnessed a fellow student being (jeez), many will suffer in silence, too afraid to seek the help they need. The help they deserve. It's ignorance, of course. I don't believe that people are intrinsically selfish, or malicious, or that they're aware that these comments could be detrimental to someone's mental well-being. But people need to at least try and be more sympathetic. And when they start to be more sympathetic, they might try to understand, and then maybe, finally, this disbelief will be turned on its head. Fact: when I was younger I suffered with an eating disorder. I'm not suffering from it now. One day at university my friends and I had one of those hungover afternoons, revisiting MySpace and laughing about how we used to look. I found a photo of me at prom and laughed - I was so tan, and slim (hi, Freshers weight)! I said this observation out loud, and in response a friend - completely innocently, but with a definite tone of disapproval - said, "Oh you don't want to look like that again, you looked anorexic!" Oops. This was a two-fold problem for me: firstly, it hit me hard because I was a former sufferer. But what was worse was at prom, when the picture was taken, I was actually a healthy weight. So it hurt to be accused of looking anorexic when by this point, I'd come a long way. And of course, this "mental illnesses as adjective" issue comes to light again - just because someone is slim, doesn't mean they are ill. And just because someone is a healthy weight, doesn't mean they aren't. Which is exactly the problem that the Priory Group are discussing. If you were to look at a group of students in a lecture hall, there's no chance you'd successfully be able to point out the individuals who were struggling with a mental health condition. It's nigh on impossible. So why make such foolish assumptions? 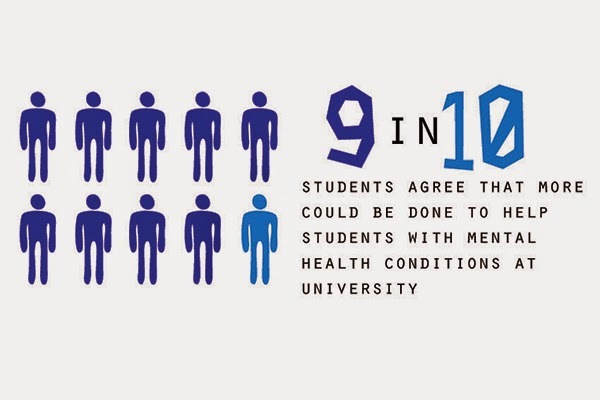 According to the Priory Group, "90% of students agreed that more could be done by universities to help students with a mental health condition. 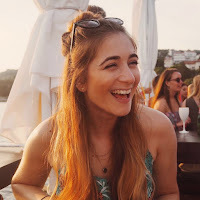 Normalising open discussion about mental health issues, and simply raising awareness of the different ways people can be affected are just some ways that universities can help overcome mental health stigma." At York, I was lucky with the support on offer. However, some students aren't so fortunate. The Priory Group reached out to me because as fellow supporters of mental health awareness, they believe that in order for these worrying statistics to decrease, people need to stop trying to gloss over, ignore, and fail to recognise and sympathise with what is often a life-long illness. In the same way someone wouldn't laugh off a person with diabetes, it makes no sense whatsoever to laugh off someone with depression, or anxiety, or whatever the condition may be. To do so will be more damaging than you can ever know. To stigmatise mental health conditions is to, in essence, stigmatise my life (as I've been affected by mental health conditions since I was 10 years old) and quite frankly, it's a stigma I'm tired of. I shouldn't be ashamed of who I am; it should be those who judge and scoff who should be ashamed. For more information regarding the mental health stigma on campus, click here. If you wish to get in touch with Priory Hospitals, call 0800 280 8296 or make an enquiry. *This post was in partnership with The Priory Group. Regardless, the opinions expressed are my own. Fragrances which scream "HELLO, SPRING"